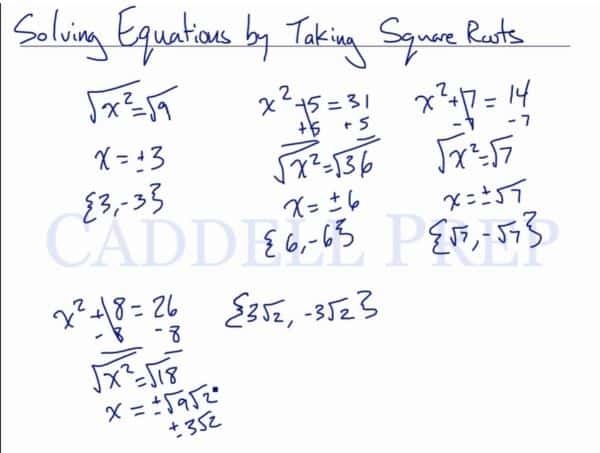 In this video, we are going to look at solving equations by taking the square root. we can solve for x by taking the square root of both sides. 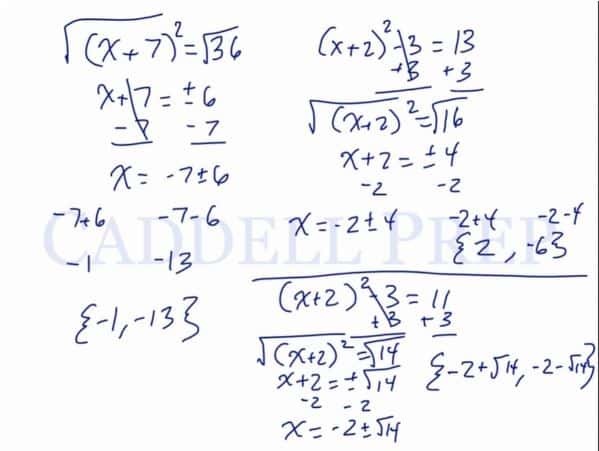 In this video, we are going to look at solving equations by taking the square root more in depth. we can first take the square root of both sides. Let’s go over solving equations by taking square roots. To solve for the value of , we have to get the square root. The tricky part here is the square root of . Because it’s not just positive, it can also be negative. In order to solve this, we have to leave by itself first. So let’s get rid of by adding on both sides of the equation. It’s also possible that we get one that doesn’t work out. So we’ll leave it at that. I chose to write this because square root of is possible. Let’s take a more in depth look at solving quadratic equations by taking square root. Rather than multiplying, let’s just get the square roots of both sides. To solve this, we have to get rid of first. This can already be our answers.